Review: I have not installed the closure just yet however, I have brushed it and it does not shed nor does it tangle In fact I a getting ready to order some bundles because the hair seems to be great quality. Also, the shipping was very very fast. Review: love my frontal,I bleach it and it's still nice and not dry and fizzy.would buy from this seller again. Review: Shipping was so fast and the hair is great. Very little shedding and super soft. Customer service was great will definitely buy again. Review: I'm in love with this 360 frontal. The hair is super soft and it has no bad smell to it. There hasn't been any shedding after running my fingers through it. It's very well made. I love the fact that there is an adjustable strap in the back. I will be ordering from here again! Review: Great closure, have ordered from this seller many times! Review: Ordered Wednesday and received on Monday! Very fast shipping! Great volume! 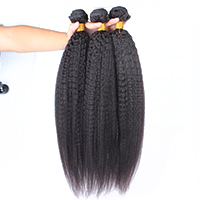 Have ordered many frontals from this seller, will definitely order again! Review: Frontal is okay. After bleaching my knots, the hair began to shed a lot. It is very thick though. Frontal is really big. Review: Shipping only took 2 business days. Hair is nice and soft. Shredded a little after bleaching but not that bad. Just installed yesterday. I'll wait a couple weeks to come back with another rating. Frontal is really full. Not thin at all. 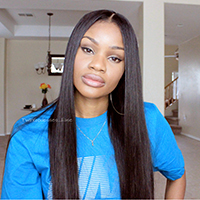 Review: hey hey... Soo my closure was just as pictured. It was soft, thick and everything I hoped. I ordered this hair on the 13th and got it the evening of the 16th! So shipping was fast. Since I got this frontal, I have washed, conditioned, bleached, rinsed and styled this hair! after all of that, this hair is still nice and bouncy. So far soo good! Review: I had the 360 forntal for nearly a month and it is still just as i first got it .Soft smooth ,and it is very easy to maintain ,I Deep condition once a week. 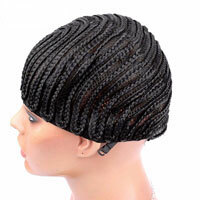 Deep Conditioning is very good for virgin hair. It keeps hair soft, healthy and moisturized. Moisture is the number one ally in achieving healthy manageable hair. Olive oil recommended for everyday use.And when combing the hair, i use wide-toothed comb to comb from the ends to the root.I hope these tips can help everyone.and I strongly recommend this hair .best frontal ever. 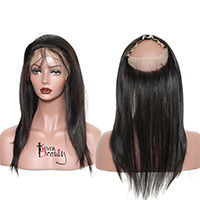 Review: I order the hair on sunday,and it came on Wednesday ,super fast and the seller keeped me updated about my package .And the 360 frontal is everything i expected .It had adjustable elastic strip ,and there is baby hair all around the 360 lace,This is the most realistic frontal i had ever got .the frontal was already plucked,but maybe the frontal is just very slightly bleached knots ,i will bleach myself .oh ,the hair is so soft and thick,Money well spent.